great post, cool to see old photos of her! 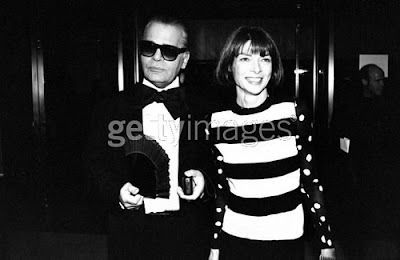 Omg, 90s Anna Wintour! She looks so different! She looked so happy!!! Karl was sooo young! Thank you for posting these..so amazing to see how Anna's style has evolved. And the fact that she used to smile a lot. omgod these picturessss ive read the unauthorized biography but ive never seen such pictures. classic.